An opportunity has come to show forth your great skill. A new venture beckons you with the promise of riches and high esteem. 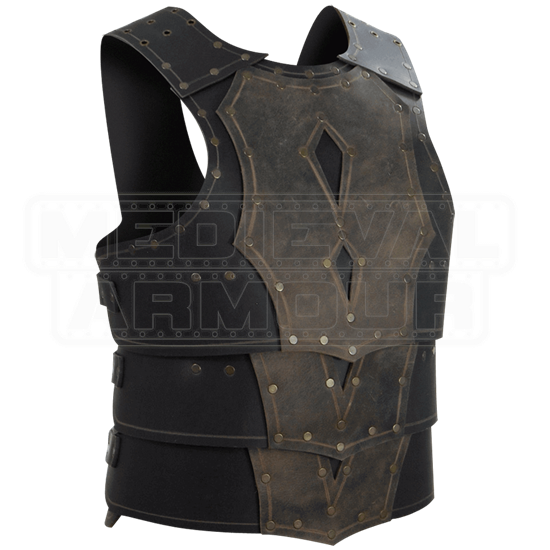 The Mercenary Leather Cuirass shall prove a capable defense when battling your way to a great reward. 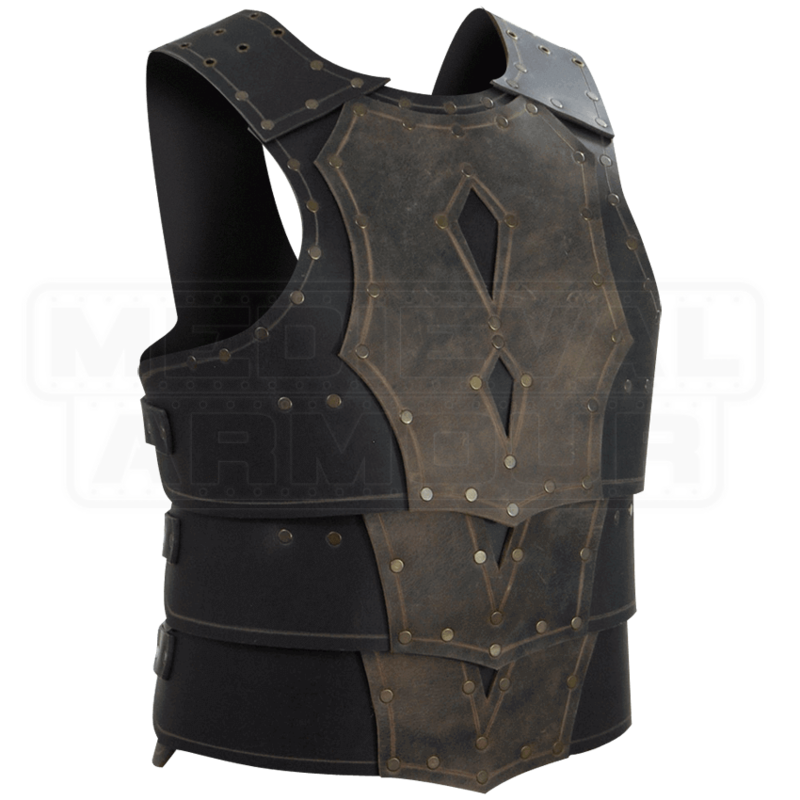 Enjoy the durability and comfort of this handmade body armour. Its leather material carefully fashioned for increased protection. Let your eyes follow the well-placed rivets that line the detailed edging. Be impressed by the segmented layers with diamond cuts. Six buckle straps in the back secure a proper fit.